The anatomical snuff box is among one of the most fun-named anatomic structures, it’s called the snuff box because people used to put snuff (tobacco) in it. If you have dinky little hands like me, the snuff box is pretty prominent (as you can see in the doodle since that’s my left hand). 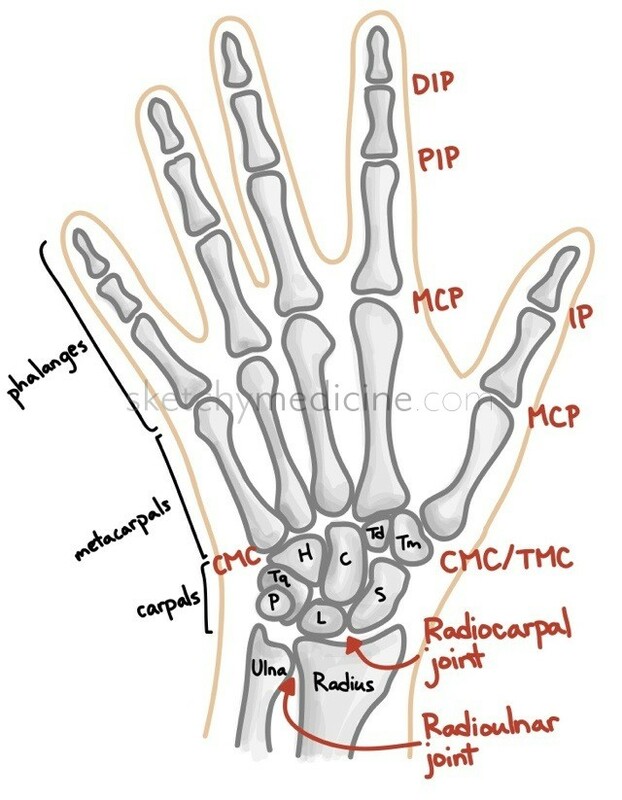 The borders are the extensor pollicis longus posteriorly, extensor pollicis brevis and abductor pollicis longus anteriorly and the radial stylus process proximally. If you poke around the snuff box you can feel both the scaphoid and the trapezium as well as the radial artery. Like the rest of the forearm and hand, the snuff box is chock full of way too many structures. The radial nerve is deep in the box while the dorsal cutaneous branch of the radial nerve lies superficially to the extensor pollicis longus. 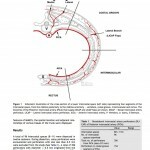 The cephalic vein also originates in the snuff box. This is when the tendons of the extensor pollicis brevis and abductor pollicis longus get inflamed (usually due to overuse, particularly gripping/grasping). 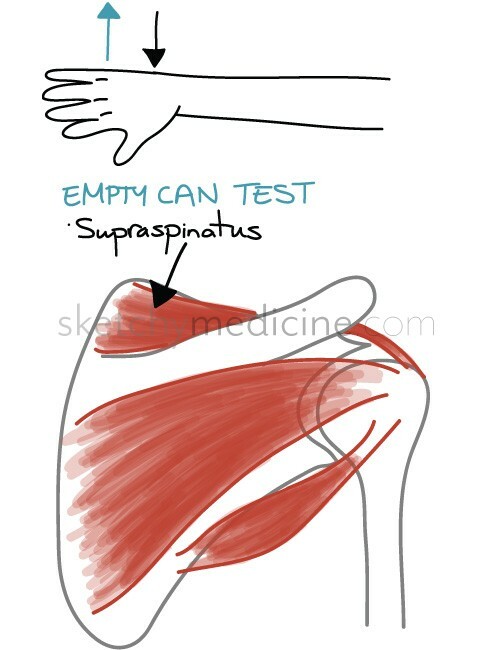 Any maneuver that causes these tendons to activate (ie extending the thumb against resistance) causes pain along the lateral side of the wrist and forearm. 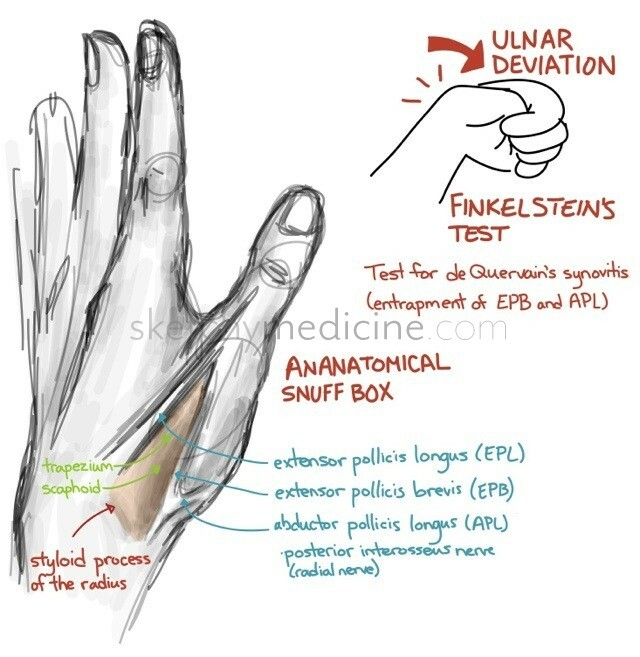 The classic test is Finkelstein’s maneuver, in which a fist is made over the thumb and the wrist is ulnarly deviated. This stretches the tendons over the radial styloid causing significant pain.